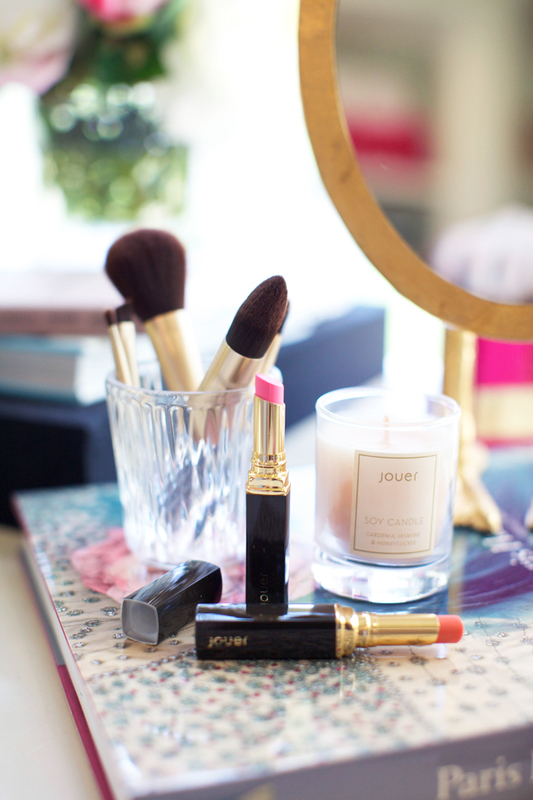 Remember when I last talked about Jouer Cosmetics in this post? Well today I’m teaming up with them to share with you some of their latest beauty products featured in the Le Matchbox Summer Box! 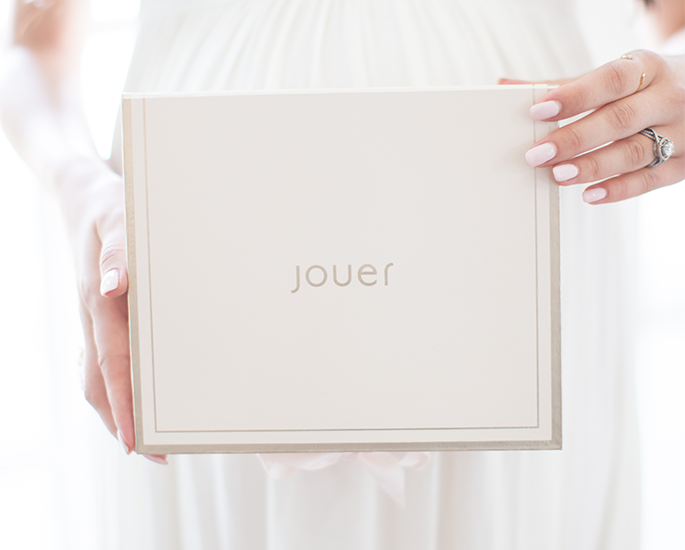 If you don’t already know how it works, after taking a quick, simple quiz Jouer will send you some of their products (handpicked and expertly curated just for you and your skin type) to your doorstep in a super cute customized box! 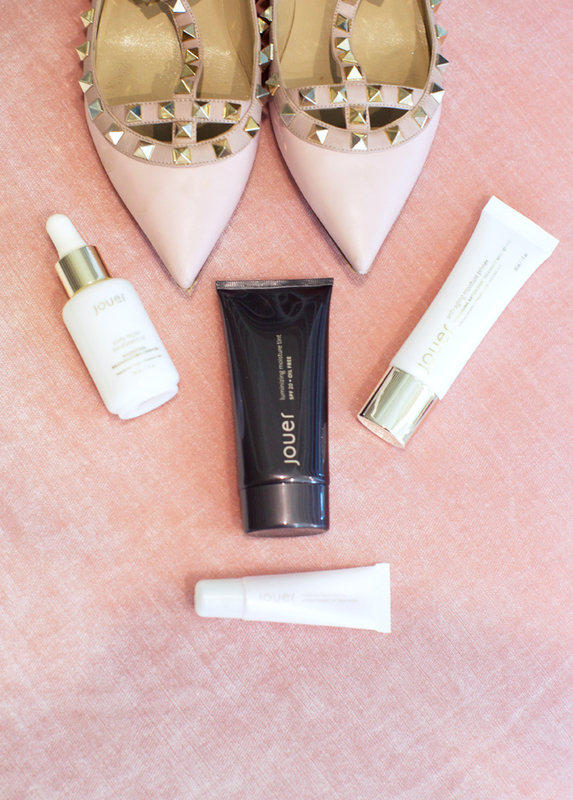 Brought to you by Jouer Cosmetics. How nice! Very pretty colors! This is another level of makeup service! I can’t wait to have them delivered at my place. love the lipstick colors! beautiful pictures! These cosmetics look great! And these photos are beautiful! What a great concept! I’m looking forward to taking the quiz and trying Jouer’s products. 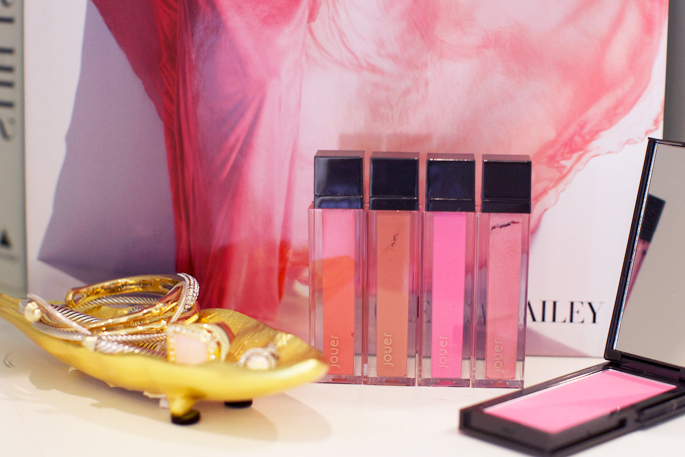 I have long been a fan of Jouer, their lipgloss is wonderful, not at all sticky and has some serious staying power. I had no idea that they now do a box, will definitely have to check that out! great photos done with the makeup! Lovely pictures! Love your outfit! The skirt, the shoes and the cape! Stunning! Wow I love this idea! Your pictures are so pretty!! I am going to take that quiz!! Nothing is better than receiving a package at the front door right? haha. Jour cosmetics sounds like a great brand! I love your outfit as well, and Dasher! 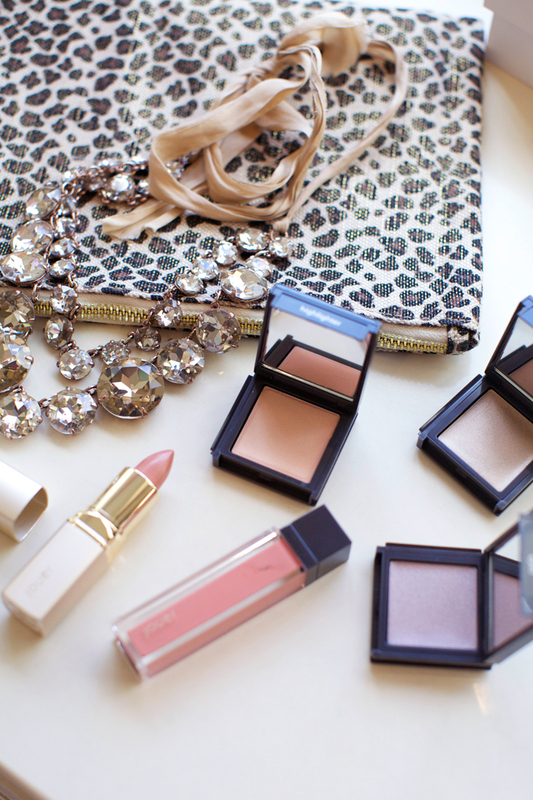 Such pretty pictures and a great selection of cosmetics! What gorgeous photos! I am loving the soft pink tones for summer makeup! Gorgeous! I’ve been wanting to try Jouer’s lipstick in Kate. I’ve heard it’s fabulous! Your sparkle top is amazing! And your hair, how do you style it in this perfect wavy ponytail? Love it! Come see the rest of our Philadelphia trip! Ok love your outfit for this post!!! So cool! I love that they have a quiz for it! I can’t get enough of your house!! These pictures are gorgeous!! Beautiful photos and great product presentation! I’ll def. give this brand a try. So distracted by your gorgeous hair, seriously, the perfect ponytail! And also your fabulous closet. Mrs. Parcell, you are one lucky lady indeed! Such a neat concept! Love how a lot of companies are starting to do sample packs to your liking. That is so cool! Love the skirt too. I love all of their lip gloss colors! So versatile. The concept behind this box is so neat! I’ve never tried Jouer cosmetics, but they have some gorgeous lip product shades to pick from. I also got the cool box! Your beautiful dog steals the show! I love Jouer Cosmetics! They’re products are truly amazing. Your closet is amazing! 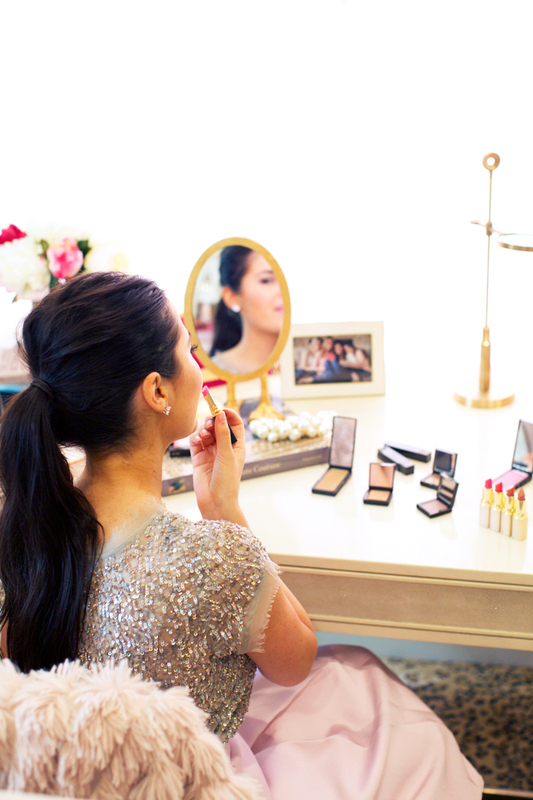 Such a perfect getting ready area. Love this outfit, too! So cute! I love your vanity setup! 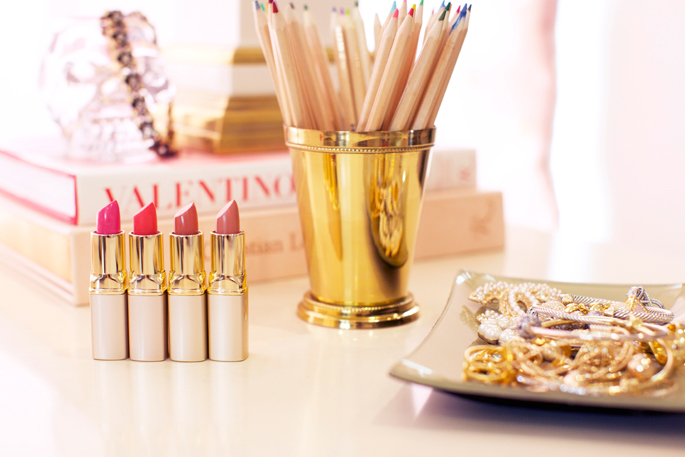 And those lip shades look darling! So cool! I will take the quiz and let myself by surprise! All of these pictures are so pretty! Nice post and great photos! Love the post! gorgeous lip colors! And serious closet envy!! These pieces are all so gorgeous! I’m going to have to check these boxes out for myself! You look so pretty all glamed up! Dasher boy looks so cute too. Thanks for sharing your new beauty cosmetics! This is great! I took the test and found out my skin tone is “cool”. Don’t know why I thought it was gonna be “warm” hahaha. Love these products, they are all necessities for summer! Adorable pictures!!! You and your pup are so sweet! Your closet is to die for!!! I am checking into this new makeup…sounds interesting! Looks like some lovely products! Love ya Rach and a big fan of urs…!! This make up like is so pretty. I will have to check it out! Thanks for sharing! Love all the blush tones in this picture! Too pretty! :) Thanks for sharing. Such pretty pictures! That is a lovely outfit as well. I love this idea! It’s like getting a professional advice as well as getting something beautiful. Would you mind sharing where your top and skirt are from? I love the combination! Love your vanity it’s so pretty. Your outfit is lovely too and I’ll have to check out that beauty box. Who makes your white desk? It is very stylish! Where is your necklace from?